WATCH! 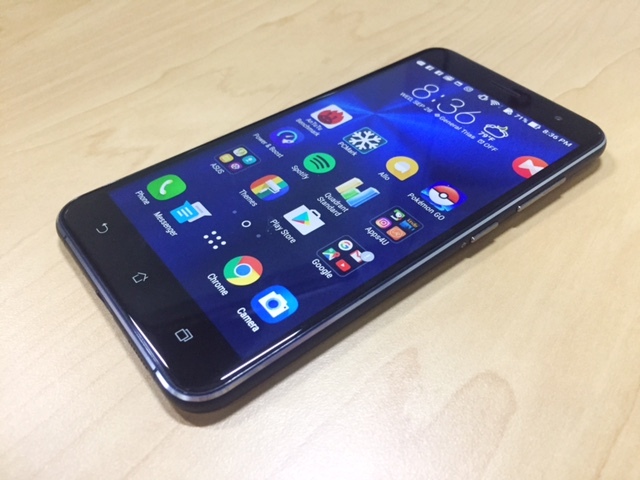 Here's our Asus Zenfone 3 ZE552KL unboxing and initial set-up video. 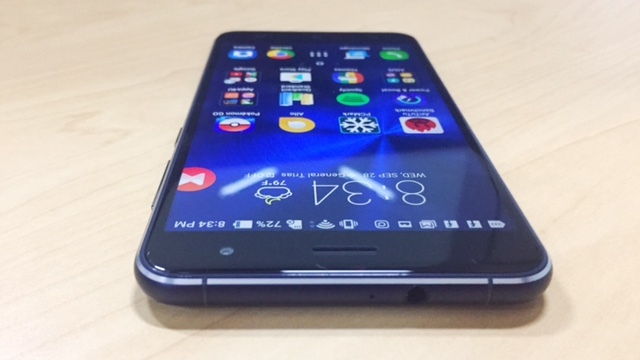 Last year, Asus introduces the Zenfone 2 - it's arguably one of the breakthrough devices released in the country. This sought-after handset has placed the company into the third spot of the smartphone pile in the Philippines. 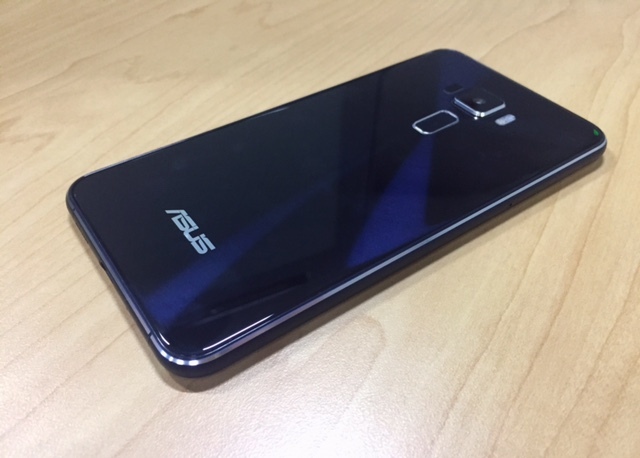 This year, Asus made another splash releasing the highly anticipated Zenfone 3 with new design philosophy and better feature set. There's a bucket-full of points we would like to share after the handset hit our HQ but we'll deal with that in our full review. 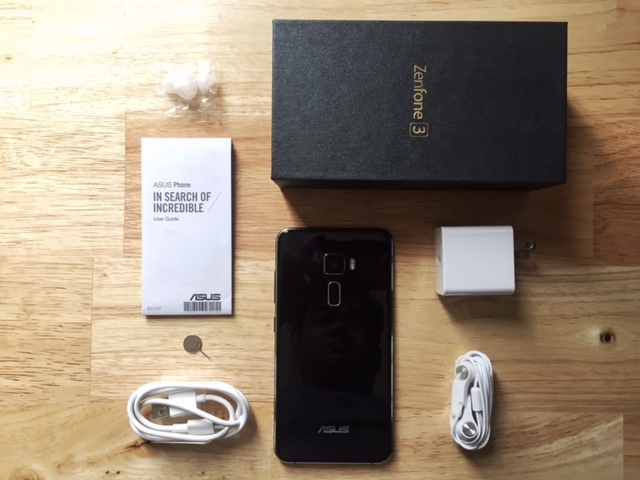 In the meantime, let's feast our eyes on the Asus Zenfone 3 ZE552KL unboxing. There's only one word that describes the new Asus Zenfone 3 - stunning. Thanks to the 2.5D Gorilla Glass treatment on both sides and the exquisite metallic frame that wraps around the lateral sides of the handset. I said it before, and I’ll say it again, the standard Zenfone 3 is the best looking device among the Zenfone 3 family. In case you missed our first impressions and hands-on article, you can visit it again by following the link below. Going back to the meat of this conversation, letting the Zenfone 3 out in the open is such a worthwhile experience. The flip-top box is graced by a faux-metallic appeal with a smooth sandpaper finish. The box is something you can’t find in any other smartphones in this category. Once opened, the Zenfone 3 greets you underneath its crisp plastic wrap. Detaching the adhesives will give you the smartphone in its full glory. Stunning. Yes, I’ll say that again. The spun metal design is all over the back of the handset. It uses the fingerprint scanner as its center which flashes the concentric circles every time it’s illuminated by light. The back also houses one of the very important features of the Zenfone 3 ZE552KL – the 16MP Sony IMX298 camera. The laser auto-focus module and the LED flash also come alongside the rear shooter. Towards the bottom, there’s the Asus branding that was previously seen on the Zenfone 2’s front panel. 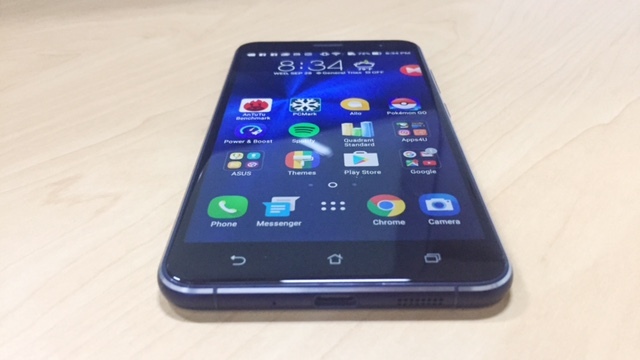 Unlike the Zenfone 3 Deluxe and Ultra, it has antenna bands placed on top and bottom of the device. It’s visible but you’ll let it pass. Plus, one thing you’ll love about it is the 3.5-millimeter audio jack mounted on the top, and I am looking at you iPhone 7! The right side is the home of the power button and the volume rocker, while the left side has the SIM tray. It has a dual SIM capability, by the way. One holds a nano SIM while the other offers a slot for either a SIM or a microSD card. The bottom side gets the spotlight with the USB Type C accompanied by the speaker grill and the microphone slot. There’s also a pair of antenna bands at the bottom, if I may add. Since the Asus Zenfone 3 ZE552KL dons a USB Type C port, the package comes with a Type C cable and fast-charging wall adapter. Stereo headphones also compliment the Hi-Fi audio feature of the handset. Speaking of audio, the smartphone touts a five-magnet speaker construction driven by NXP smart amplifier. Extra set of cloggers is also included in the box together with the user manual and SIM tray pin. To give a good grip on the feature set, check the specs below. I would like to highlight the 5.5-inch IPS full HD display, which may not be the most pixel-packed screen in the market yet it’s more than enough for most of your smartphone activities. The Asus Zenfone 3 ZE552KL also comes with a whopping 4GB of RAM which offers a very fluid performance in our initial interface test. Other noteworthy features include the LTE Cat 6 connectivity, 3000 mAh battery and Zen UI 3.0 on top of Android Marshmallow. 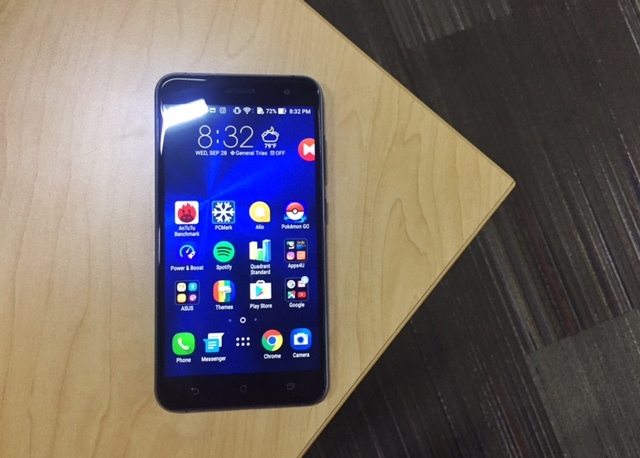 Should the Asus Zenfone 3 ZE552KL be your next smartphone purchase? That’s the big question we’ll answer in our intensive review of the handset. Stay tuned metro geeks!